Two of my favorite ways to make our house smell good are by baking and scented candles. I'll be the first to admit, I burn more candles than I do baking! A couple of my personal favorites this year include the Carriage Candle Warmer Lantern and the Santa's Cookies candle! The candle smells exactly like fresh from the oven sugar cookies topped with rich vanilla icing! My Carriage Candle Warmer Lantern give off the perfect amount of scent and it fills the entire room. We have a large living room so I know that the warmer works very well. Perfect for any size room, large or small. The scent even reaches down the hallway into our bedroom and into the dining room. Candler Warmers are available in a variety of stylish and decorative lamps, crocks, plates, and plug-ins! They even carry a variety of holiday warmers as well, including an adorable snowman and Santa! Each patented warmer warms and melts the top of the candle, filling your home with fragrance and a soft warm glow. 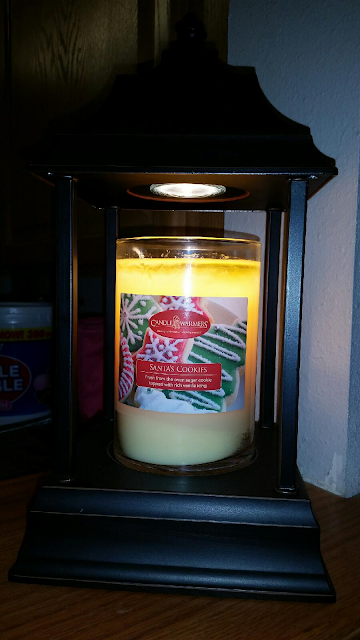 Disclaimer: The Being Frugal and Making it Work family received a complimentary Carriage Candle Warmer Lantern and Santa's Cookies candle for the purpose of writing a review and hosting a giveaway. Regardless, I only recommend products or services I would use personally and/or believe will be a good fit for my readers. The views and opinions expressed on this blog are based purely by our own experiences. No monetary compensation was received. Results may vary. 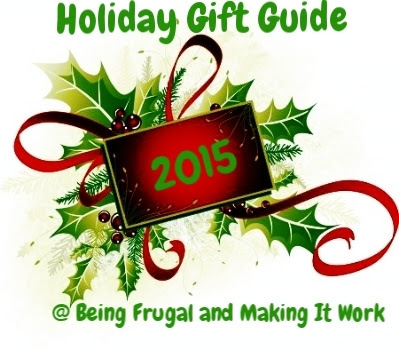 Be sure to check out the other great Holiday Gift Guide reviews and giveaways here at Being Frugal and Making it Work! I would choose the Macintosh Apple scent. It is always one of my favorites. Mmm...Hot Apple Pie sounds great. It's always one of my favorite scents. I would love to Go Flameless this holiday season because it would be a safer way to enjoy the time with my friends and family. No having t worry about watching a dangerous candle flame. I think I would love the Lovespell Candle the most - especially if it smells just like the Lovespell that Victoria's Secret sells. I would choose the warm Cinnamon buns, it would make the house smell really good. I would like to go flameless this year because I have two cats and I don't want to have to worry about them knocking the candle over. I would choose the vanilla cinnamon scent even though it would make me want cookies or cinnamon rolls! There are so many scents that sound like they'd smell wonderful but I think I would choose warm vanilla as my first choice. I would like to go flameless because between my cat and the littles I babysit for, I don't feel it's safe to burn candles but would love a nice warm scent floating in the house.